Before reviewing Saturday’s league matches, we will preview our Sunday matches before releasing a bigger ‘Weekend Review’ on Monday. Clydesdale Western’s 1st and 3rd XI go head-to-head in the Second Round of the Women’s Scottish Cup, from 2.30pm at Titwood. The L1s saw off GHK 1s 4-2 back in September thanks to goals from Emma McGregor (two), Anna Hoolaghan and Georgia Smith. The L3s picked up a huge scalp when they beat Kelburne 1s 3-1 at Glasgow Green – Gill Green scoring a brace whilst Helen Walker grabbed the other. The L1s – who were Women’s Scottish Plate winners for 2017-18 – will need to be on their best form to see of an L3s side who reached the Quarter Finals of the competition last season. 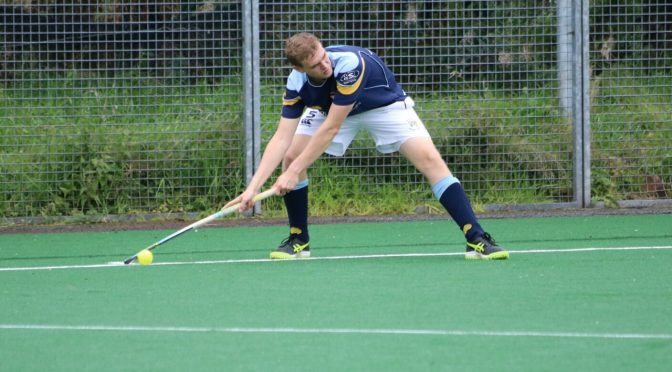 Clydesdale Men’s 2s face a tough task when they host Edinburgh University 2s from 1.00pm in the Second Round of the Men’s Scottish District Cup. The M2s qualified for the Second Round following a colossal 14-0 win away to Madras College FP 1s, which saw Colin Moulson score six goals in the First Round. Their opponents, Edinburgh Uni 2s saw off fellow rivals, Glasgow University 7-3 in the same round. The two sides have already met in Men’s Regional Division One already, with Uni securing a 5-2 win three weeks ago. Clydesdale Western 2s begin life in the Women’s Scottish Plate when they visit Edinburgh to play Watsonians 2s at 2.30pm. The L2s almost provided arguably the biggest shock in history of the Women’s Scottish Cup when they took holders, Edinburgh University to penalty strokes following a 1-1 draw. Uni, however, went on to win the shootout and send the L2s into the Plate where they will face Watsonians 2s following a 4-1 loss to Erskine Stewart’s Melville 1s. The two sides have also played each other in Women’s Championship Division One this season, with L2s winning 3-2 at home.